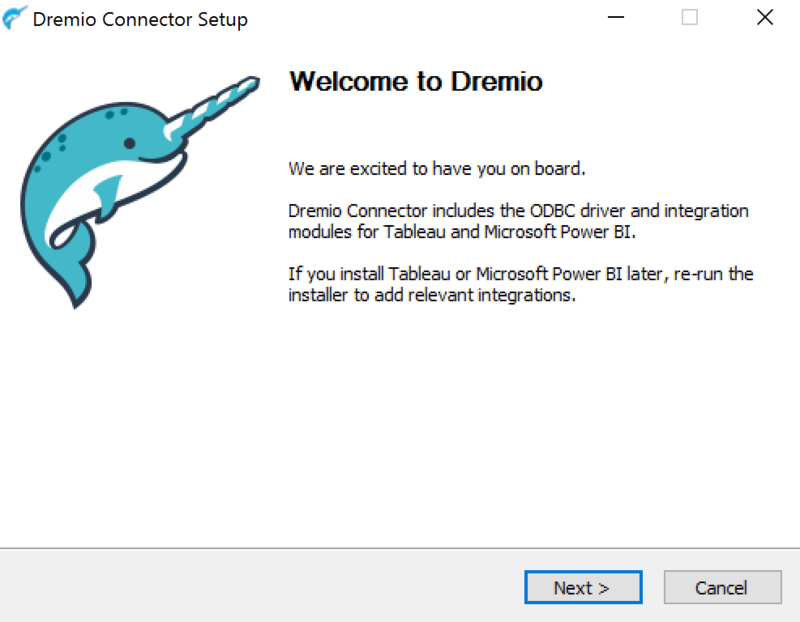 Windows ODBC installer includes Dremio&apos;s ODBC driver and integrations for BI Tools. 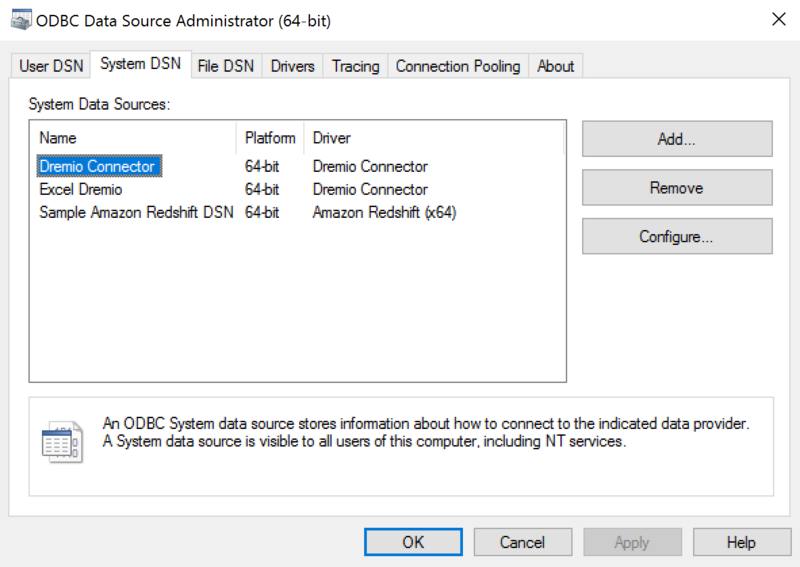 Download and install the Dremio Connector. 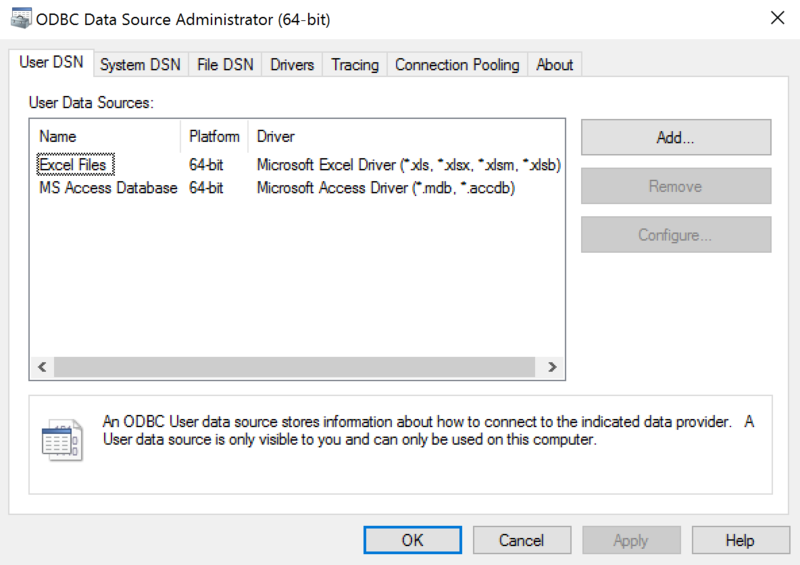 Run the ODBC Data Sources Windows application. Make sure you picked the correct application: 64-bit or 32-bit. Enter your the IP address for one of the coordinator nodes in your cluster in the &apos;Direct to Server&apos; field and change the Authentication Type to &apos;Plain&apos; and provide your account&apos;s login information. 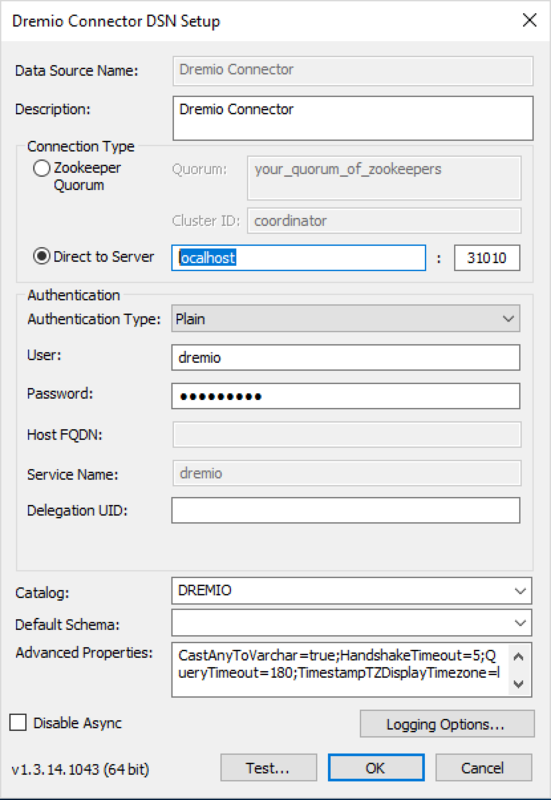 Optionally test the connection, and then hit OK. You should now have a System DSN you can use to connect to Dremio. Ask an administrator to follow the steps above. Then, go to the start menu and click on the Dremio BI Connector. Proceed to use the connector. The BI Connector Installer will remain there if you ever need to redownload your connector or install the connector for another BI tool.